Thank you to Good Day Tampa Bay Fox 13 News and Laura Moody for the opportunity to share about art therapy! 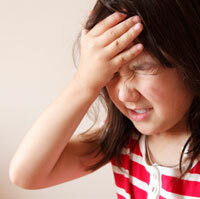 Negative thoughts got your child down? Your child is smart, funny, bright & amazing; yet sometimes they get really stuck on negative thinking, about themselves or worries about what might happen. Research suggests our brain has a negativity bias, where we are biologically programmed to look for the negative experiences to keep ourselves physically safe. Rick Hanson, neuropsychologist and author of Buddha’s Brain: The Practical Neuroscience of Happiness, Love, and Wisdom shares that negative experiences “stick” to our brain more than positive experiences. So if you know of someone (child or adult) who is always seeing the glass half-empty have a bit of sympathy that they are functioning from their “sticky” brain. Here’s the good news, you can retrain your brain and help your loved ones shift their thinking to a more positive state. Dr. Hanson calls this “Taking in the Good”. Here are three creative ways to take in the good and help negative thought patterns come unstuck. Help your child identify the underlying need that your child’s negative thought is attempting to protect them from. I sometimes explain that negative thoughts are trying to do a job, such as keeping you safe and protecting you from bad stuff; but sometimes those negative thoughts get rowdy and start causing lots of problems and they need to be fired. You can act out your best Donald Trump and fire those negative thoughts. For example, your child may be worried about making new friends and they think no one likes them. These thoughts may be attempting to keep your child safe and protect them from feeling vulnerable and unlovable. Acknowledge those negative thoughts and then give them the boot (your child can get very playful and write down or draw out negative thoughts and then “fire them”). Now play detective with your child. Together look and find evidence of times when your child is feeling those underlying emotions they desire to feel, such as lovable, safe, and vulnerable when they are connecting with others. Be playful during this process; the more you make it into a positive game, the more likely your child will be excited to play along. Get Creative! 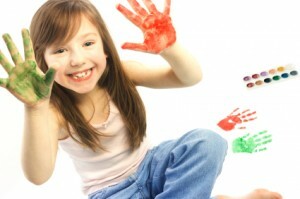 Ask your child to use their imagination and create all the times that they feel those positive feelings. You can make a big poster of positive things they do that remind them they are safe, and loveable- such as petting the dog, hugs from mom and dad, snuggling in bed, playing with their friend, swimming with their brother/sister. When your child is feeling negative thoughts, acknowledge their underlying feelings and reconnect with a positive experience. This could be as simple as looking at their poster, making art around things that feel good, asking for what feels good (hugs, cuddles), or choosing from an activity that is on the poster they created. Make this process something that everyone in the house is involved in. Ask yourself how negative thinking is impacting you (and your relationships). Want some honest feedback? Ask your partner and listen without interrupting. Practice this in your home: look for things that are right with others, create your own poster of positive images that remind you of the good in your life, discuss three good things that happened to you each day at dinner or before bed, choose those yummy activities when you start to revert to stinking thinking and train your brain to look for the positive. If your parenting partner is not on the same page and you find yourself battling them (again and again) to help your child. You are not alone! Here’s a powerful secret… when you make positive changes the family system changes. I’ll be sharing powerful information to help your family make changes in the upcoming support call “Parenting SOS! What to do when you and your child’s parent have different parenting styles?“ I look forward to playing with you on the call! It came up during a conversation with a friend that we just weren’t given the tools as children to navigate all of the depths of this life. Seems like we missed out on self-love and compassion 101. Sucky. So I decided I get as many do-over’s as I please. Yup, a do-over. Remember when you played a game with a really understanding friend or adult and you called a do-over. You missed the mark (again and again), swung that bat 10 times and finally hit the ball. Well guess what, as adults we get to give ourselves as many as we want. As a wise woman (or man too) you get to connect with your inner creativity queen to do-over what’s not working or what’s not feeling right. Got into an argument with your spouse? Go make smoochy -face, apologize for your part and create a do-over. Being nagging with your child? Own it and model a do-over and ask for what you want in a more respectful way. Critical of yourself (ate the ice cream, forgot the commitment..oh well) ? Acknowledge your humanness, and give yourself a loving break. 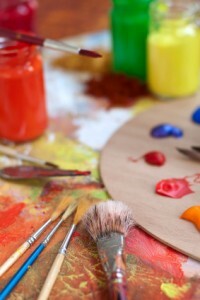 Need some creative inspiration? Use your creativity and make images or words (with collage, markers, colored pencils, pastels, or paint) of things you’d like to do-over. Through this process let go of the behaviors and thoughts that do not serve you and connect with what you’d like to welcome in instead. Lovingly release anything that feels icky and sticky with kindness and compassion. Looking to connect with self-love and self-compassion and your inner goodness? 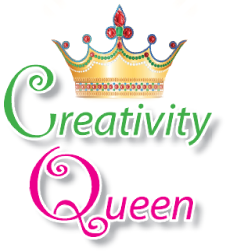 Are You a Creativity Queen? babies can’t help but smile at you, and animals want to follow you..
…so tell me dear sparkly soul sister are you a Creativity Queen? Need to reconnect with your creative sparkly self?